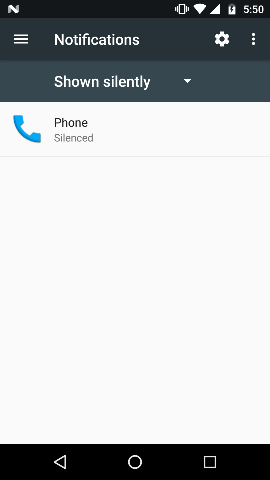 I got in to this annoying situation somehow, my Phone(Moto G4 Plus, Android Nougat version) screen remains off during Incoming call. 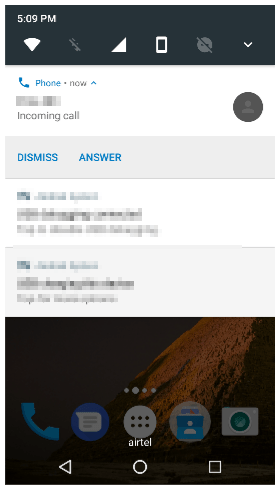 I need to press power button to turn on screen and then need to click on notification to see who’s calling and answer call. So I tried different other options. 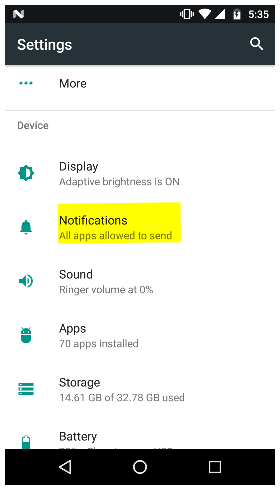 After struggling for 15 mins, I tried to see this Notifications Settings as I thought there should be something wrong there. but I’m not sure which app to see. 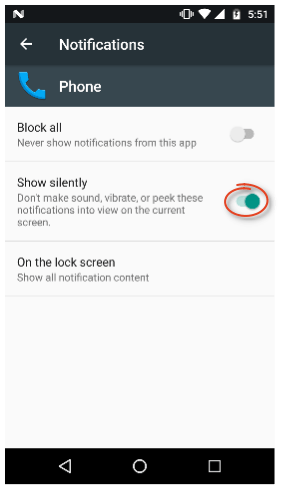 Goto Phone Settings – > Notifications. 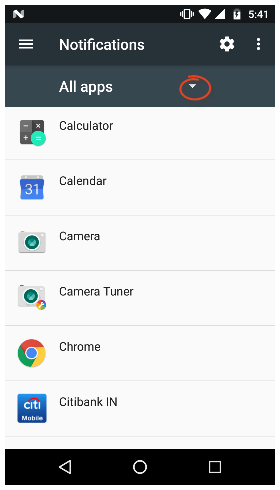 Here you need to click on Dropdown icon. Here you will see different options in Dropdown. Select Shown silently. Click on Phone app. 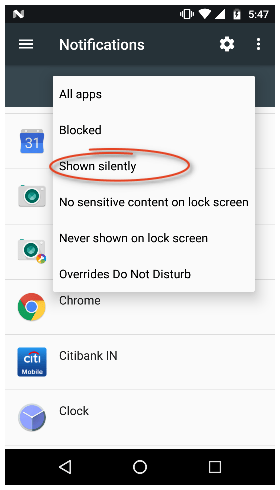 You’ll see Show silently is Turned on. Just click on it to Turn it off. Now on wards you’ll see screen turns on when you get a Incoming call. You saved me. Had lot of trouble on my father’s new Android phone with Nougat. This has frustrated us big time. Finally, this page saved us.